Genuine Japanese bonsai tools. 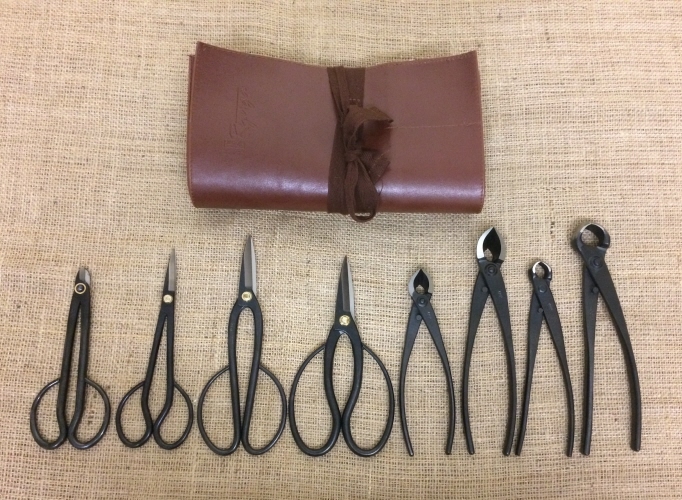 This 8 piece Yagimitsu bonsai tool kit has everything from a 160mm wire scissor to twig & Root scissors and two different sizes of concave branch cutters and two sizes of knob cutters. The kit comes with a Ryuga tool roll perfect for storing your tools when not in use or for when you are on the go.